There are lots of different ways to make a Margarita, and the best thing is that many of the recipes can be easily recreated in your home. 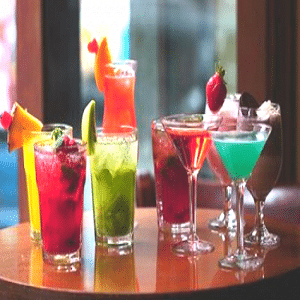 Think about your favorite fruits that may be in the house, get experimental with other ingredients and colors, raid the liquor cabinet and consider themed Margarita recipes for a special occasion. Try Some Alternative Fruits For A Simple Deviation On Classic Margarita Recipes. The first option in this guide to simple recipes is one that most of us can make with ease during the summer. Summer fruits are always in abundance during these moths and can be easily blended to create a fruity mix that works well with the sharp lime and the strong tequila. A strawberry based option is great for watching the tennis on a hot afternoon, but triple berry options give you more flavors and more chances to be creative with the decoration. Triple Berry could mean strawberry, raspberry, and blackberry, or you may swap one out for blueberry or blackcurrants. It all depends on what is available. Only make a sugary syrup with equal parts of the berries and add the rest of the staple ingredients. A strawberry based option is great for watching the tennis on a hot afternoon, but triple berry options give you more flavors and more chances to be creative with the decoration. Triple Berry could mean strawberry, raspberry, and blackberry, or you may swap one out for blueberry or blackcurrants. It all depends on what is available. Only make a sugary syrup with equal parts of the berries and add the rest of the staple ingredients. It all depends on what is available. Only make a sugary syrup with equal parts of the berries and add the rest of the staple ingredients. Different fruits don’t just mean different tastes. You can also change the color of your drink in the fun and vibrant ways by altering the base fruit ingredient. The pink senorita is a brilliantly girly option for women that want a fun night out because of its soft pink color and pure flavors. All you need is 2oz of tequila, 4oz of pink grapefruit juice, 1oz o syrup for sweetness, and some fresh mint to garnish the top. 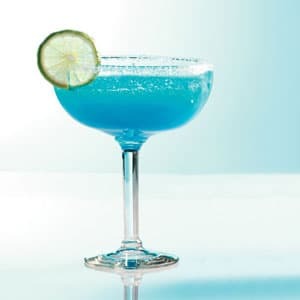 On the other end of the scale, there is the Blue Margarita. A striking, artificial looking drink that uses blue curacao for the color, but could easily replicate the feel of an alcoholic blue raspberry slushie drink with some raspberry flavoring in there too. Think Outside Of The Box With Some Unusual Ingredients For Quirky Margarita Recipes. 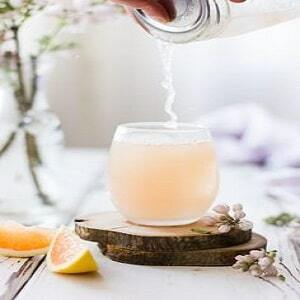 It is natural for Margarita lovers to experiment with different liquors to add to the tequila, but the idea of champagne or beer based Margarita is something that many drinkers may not have come across before. It stems from the idea of adding Corona beer to frozen Margarita mixes in Mexican restaurants, and it has expanded into the kitchen of the average drinker. 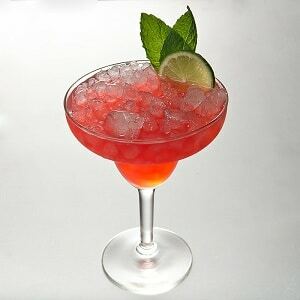 After blending the ice, three tablespoons of sugar, of a cup of tequila, of a cup of triple sec and 1 cup of lime juice, add a bottle of beer and serve in the same way that you would a traditional Margarita. As for the champagne, simply follow a similar approach. Some swap the triple sec for Cointreau. If you want to add a little heat to your cocktail, then this could be the way to go. You don’t need to use a lot of this ingredient to add a little kick to your drink, a teaspoon will do, and you can tone down the intensity with other ingredients. This is an excellent choice for anyone that is already experimenting with other flavors and alcohol mixes because it is just one extra little element. One approach is to balance this spice with the sweet, gentle taste of strawberries. 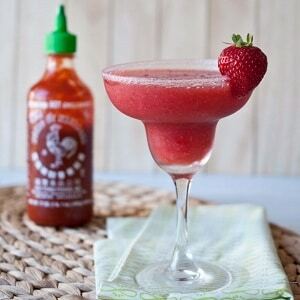 2 cups of strawberries, 2 cups of ice, of tequila and your dash of sriracha is all you need. 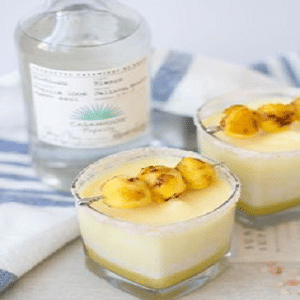 The thought of adding ice cream to a Margarita will be too much for those that already find cocktails a bit sweet, but it can be a fun way of cooling the drink down without relying solely on the ice. 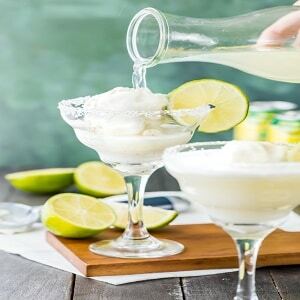 Simply make your basic Margarita mix as you like it best – with just the right amounts of lime juice, tequila and whatever other liquor you are partial to – and float a nice scoop of vanilla ice cream or perhaps some lemon and lime sorbet on the top. It will melt into the drink for a sweet, creamy treat. 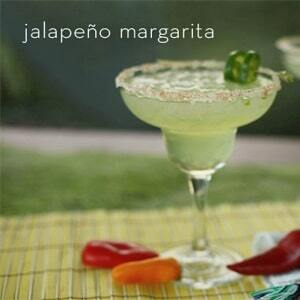 Add A Different Cultural Twist To The Drink For An International Margarita Recipe. This may seem like an obvious starting point or an insane one, depending on your experience with Margaritas. Margaritas are the drink of choice for many of us during cultural celebrations like Cinco de Mayo or that occasional meal out at a Mexican restaurant, so the idea of adding hot peppers to the mix is either a logical progression or a step too far. There is already sharpness from the lime and saltiness, so why not go further by chopping some peppers into the mixer and adding a decorative slice on the rim. Perhaps a Hawaiian twist sound more up your street, especially if you are tired of the same old Mexican themed Margarita nights. This is ideal for a barbecue on a summer’s day, lounging by the beach and any other relaxing situation where only a tequila-based drink will do. Like many of the other fruit-based recipes, this option adds some sweetness, but there is the extra touch of cooking the fruit on the grill is using it. All you need is 1oz of tequila, an oz of triple sec, some smoked pineapple, a little lime juice and your ice. The final option here is the lemongrass and ginger Margarita. So far the recipes have mostly stayed within the Americas or at least used Western ingredients, but here you can add a subtle Asian twist for something completely different. The lemongrass and ginger naturally compliment the lime and take the drink to a new level. It doesn’t look like much with the lack of color, but it tastes great. For a large pitcher, use 8oz of tequila, two stalks of lemongrass, some sliced ginger root, 1tsp of grated ginger, some lemon juice and serve as the standard.